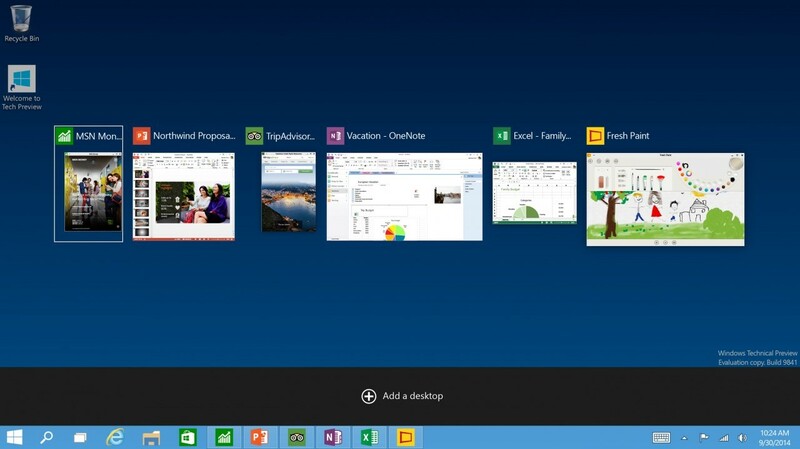 Windows 10 waseleased on July 29, 2015 and if you didn’t hear yet, this new operating system that Microsoft has released, it is worth installing on your computer. It seems that the Apple fans won’t miss it out either, since the new operating system can be also installed on Macs. – A decent internet connection. HINT: Keep in mind that you will not need a Windows 10 license for installing this new operating system, but you will need to buy one within 30 days of trial period or else you will not be able to keep using it on your Mac. Also, in case you already have installed Windows 7 or Windows 8 on your Mac device, you will be able to update using the normal way via “Windows Update”. First of all, you will need to download the Windows 10 media creating tool from Microsoft. You will notice that there is a 32bit and a 64bit version and you will need to choose the version that you intend to run on your Mac device (check what architecture your Mac runs on because if you choose 64bit and your Mac uses 32bit, then it will not work). After downloading the media creating tool, open it and select “Create Installation Media for another PC and click Next”, select the language, Windows 10 Pro or Home version and the architecture. Lastly, you will need to select to save Windows 10 installer as an iso and click on “Next”. Don’t worry, you will not need a DVD or DVD burner for the iso file, as you will use the iso file and an application to make your USB driver bootable. So, select the location where you want to save the Windows 10 ISO file (probably desktop, so you can find it faster) and click “Next”. If you have a very fast internet connection, this should take a few minutes, but in case the internet connection is not that good, it may take a few hours. Once the ISO file has been saved on your Windows computer, copy the file to your USB drive. Now that you have the Windows 10 ISO file on your USB drive, you can turn off the Windows PC and remove the USB drive from it. Insert the USB drive on your Mac device and copy the Windows 10 ISO file on your Mac desktop. After that, you will need to run Boot Camp Assistant (you can find it located in Applications\Utilities folder) and make sure that all three tasks are checked. Now click on “Next”, then click on the “Choose” button, select the Windows 10 ISO file from the desktop and click “Continue”. Now, the Boot Camp Assistant will make a separate partition for Windows 10 and you will need to choose how much space you want to allow for the newly operating system that you’re about to install. You can use the slider to select the size, but you should keep in mind that Windows 10 will need at least 20GB in order to get installed on your Mac. After selecting the new partition space, you will need to select the “Install” button and the application will start partitioning the Mac’s drive and restart it once it’s done. Then, the installation of Windows 10 will start and you will need to choose the Language, time and currency format and the Keyboard settings for Windows 10. After doing this, you will need to click “Next”. When you will get to the Windows 10 production key, you will have to either submit your Windows 10 key (if you have one) or skip it and enter one before the trial period ends (30 days). The installation of Windows 10 should take around 10-20 minutes, depending on the speed of your Mac device. Once the installation is complete, your Mac device will boot on Windows 10 and you will need to create a user account. 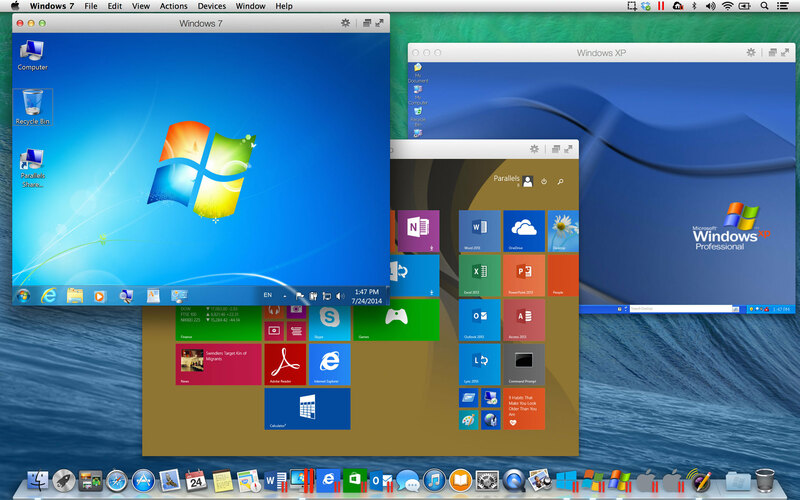 Keep in mind that even if you have both Mac OS and Windows 10 installed on your Mac device, that doesn’t mean that you can run them both at the same time. Instead, during the startup, you will be able to select which operating system you want to boot on by holding down the Option key after you hear the Apple startup sound. After that, use the left and right arrow keys to select which OS you want to run and press Enter. In order to select a default operating system that should boot, you will need to use the Boot Camp control panel (while your Mac is booted on Windows) or Startup disk in System Preferences (while your Mac device is booted on Mac OS).